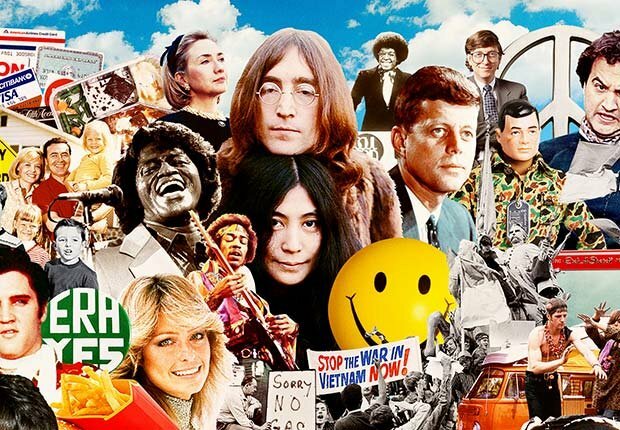 En español | During World War II, American John G. Morris was the London picture editor for Life magazine. 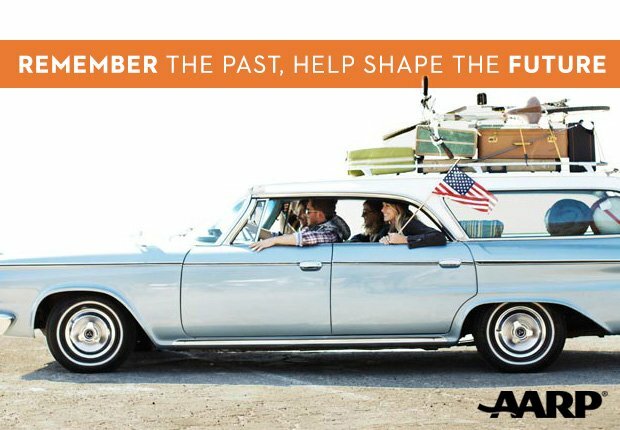 After D-Day, in the summer of 1944, the 27-year-old Morris joined the Allied armies in Normandy. “It was about the only time I carried a camera,” he says. 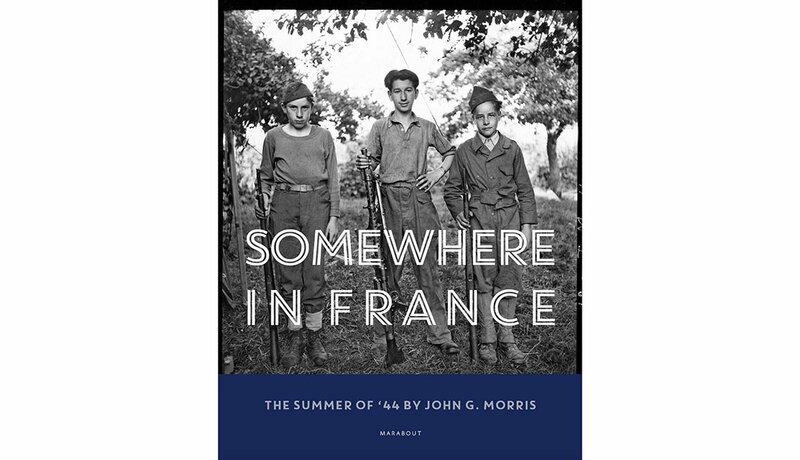 In his new book Somewhere in France, Morris shares for the first time the images he recorded right after France's liberation. 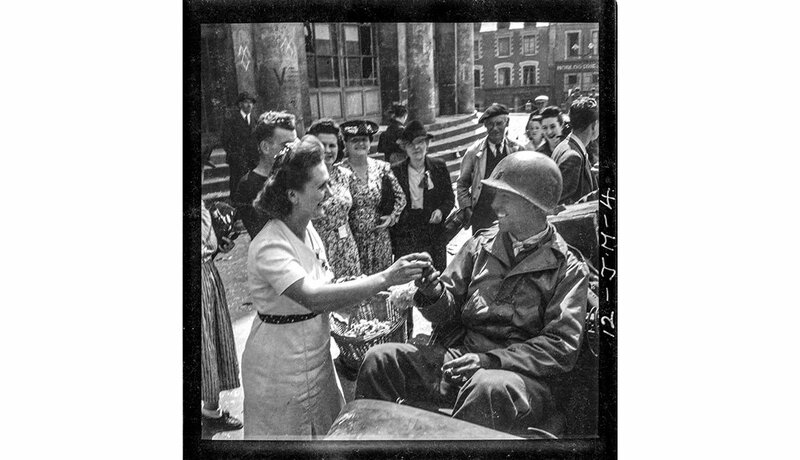 In this photo, residents greet American liberators as they arrive in front of the theater on the city hall square of Rennes in Brittany on Aug. 4, 1944. 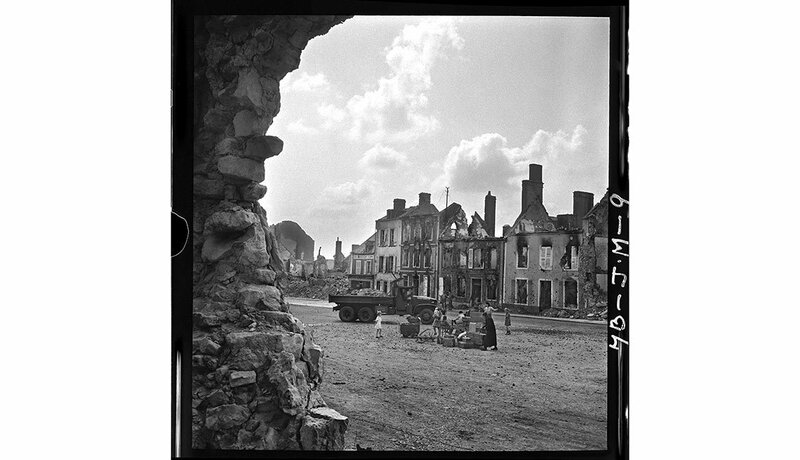 Refugees gather in Montebourg, a town in Normandy, on July 24. 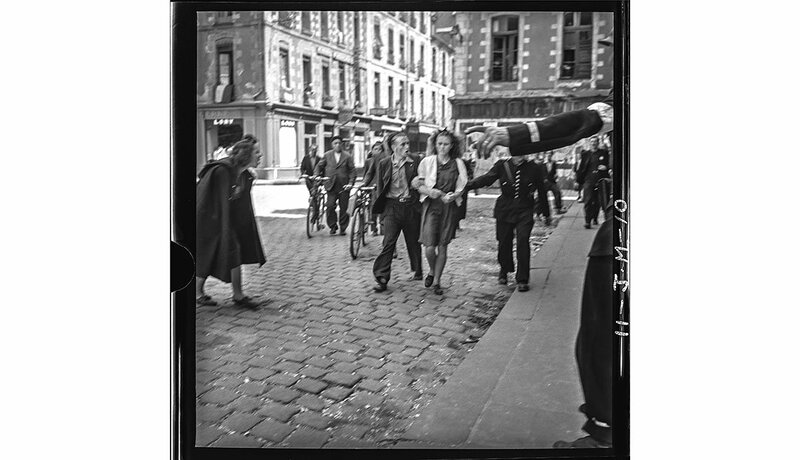 On Aug. 4 in Rennes, officials arrest a Frenchwoman accused of being a German collaborator. 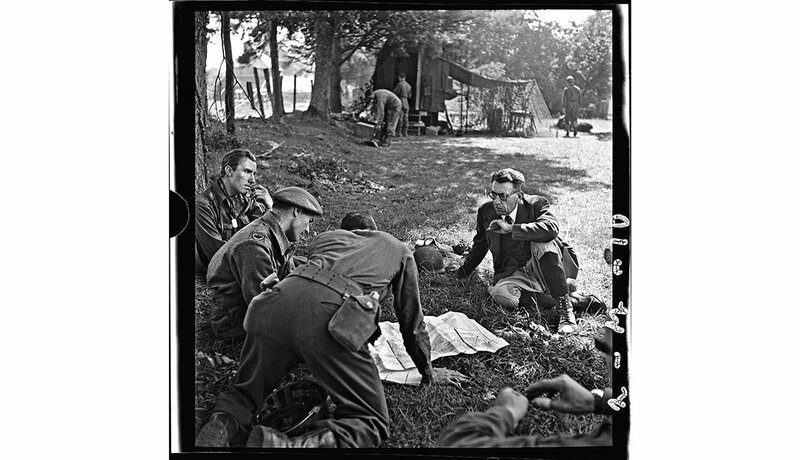 British and Canadian war correspondents sit with a local official near the city of Saint-Malo in Brittany on Aug. 8. 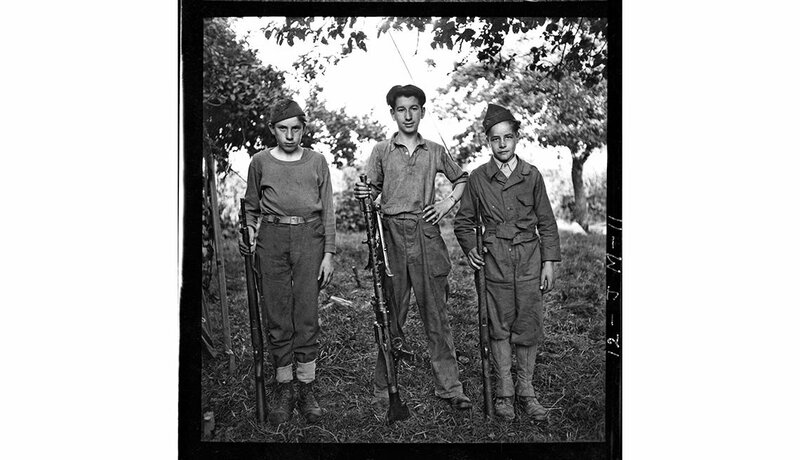 Young orderlies pose for the photographer at the First Army press camp in the town of Vouilly in Normandy on Aug. 6. 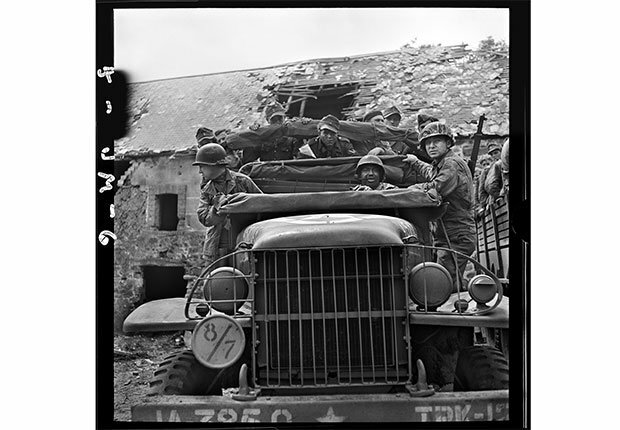 American soldiers transport German prisoners near the town of Saint-Lo in Normandy on July 27. 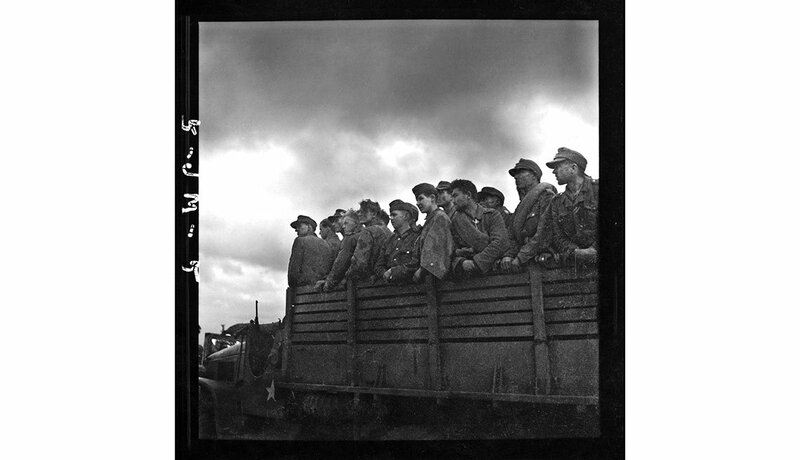 German prisoners are taken away by American soldiers near Saint-Lo on July 27. 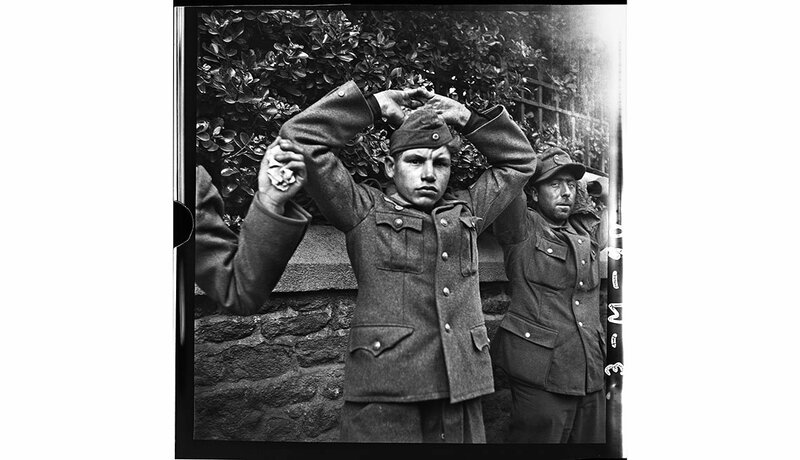 A young German is taken prisoner in Saint-Malo on Aug. 9. 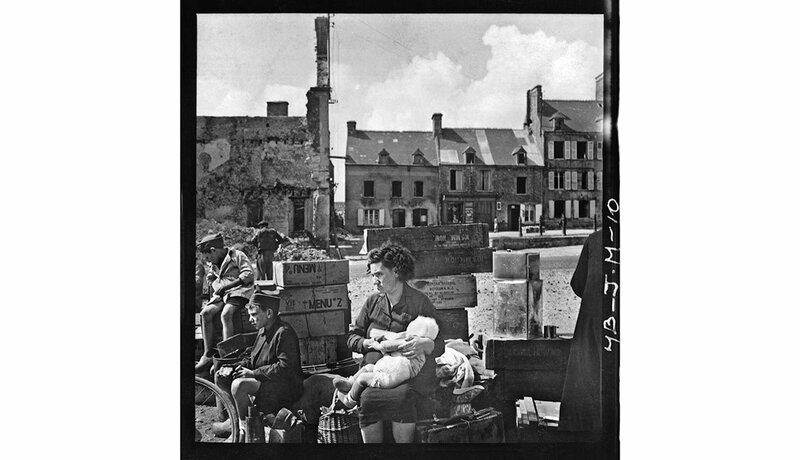 Refugees pause in Montebourg, a town in Normandy, on July 24. The cases hold U.S. food rations from the Raritan Arsenal in Metuchen, N.J. 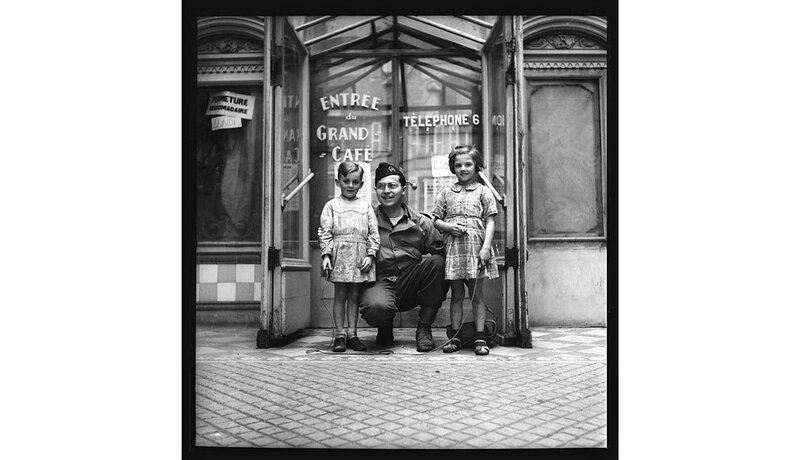 Photographer John G. Morris steps in front of the camera and poses with two French children in the town of Bayeux in Normandy on July 23. 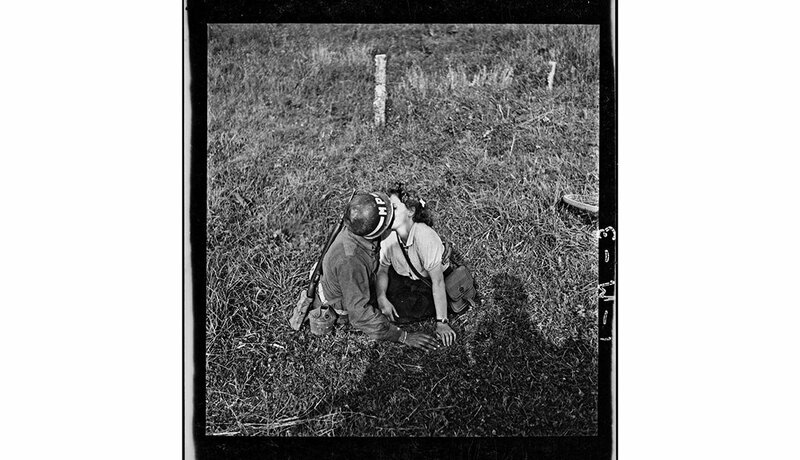 A soldier and a woman kiss in a field on Aug. 7 in the city of Dol-de-Bretagne during the liberation of Brittany.